We’re local Tree Surgeons covering the Edgbaston area offering a full domestic tree cutting and hedge cutting service. We offer completely free advice, so if you’re not sure where to start with your garden – we can help!. Our services include, tree cutting and thinning, dead wooding, tree reductions and tree removal. We’re very proud of our reputation, please read our customer testimonials and reviews. We offer free quotations and competitive prices, we take safety very seriously and are fully insured. 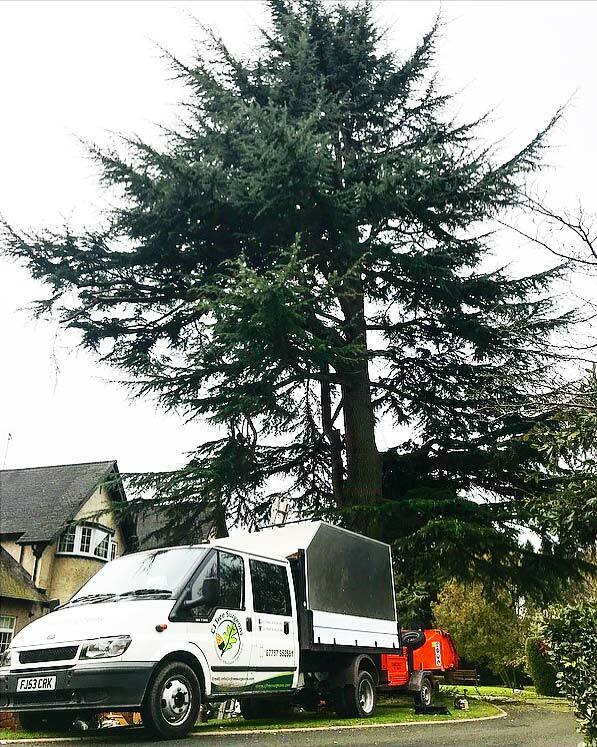 If you’re based in the Edgbaston and are looking for a local, professional tree surgeon we can help! Once we’ve completed a project we clear away all rubbish, leaving you to enjoy your garden! We are a family run team of specialist tree surgeons and arborists covering Droitwich and the surrounding Worcestershire area. Our services are centered around tree and hedge cutting, we cover everything from formative pruning through to the dismantling and felling of larger trees. We are fully qualified and insured and always remove and dispose of all garden waste on completing a project. Below is a list of some of the services we offer. For a free estimate please get in touch! Prior to tree removal we will assess the tree and it’s environment and establish the best method to fell the tree safely and to avoid damage to the surrounding areas. Tree felling may be required where a tree is diseased or damaged and where other pruning techniques are not viable or where a tree is causing damage to surrounding property. We can also help with tree stump removal and stump grinding. Crown raising involves the removing of the lower branches of a tree to increase the space under the tree. This is sometimes necessary for access purposes where you need extra space to pass under or park beneath a tree. Crown raising or ‘crown lifting’ and the trimming of foliage for the remaining branches reduces the weight from a tree which means it may lift up naturally. It also allows more light to pass through, especially important for properties which suffer from poor lighting because of large trees. Crown reduction is an important part of tree maintenance and reduces the shape and size of the tree. Foliage is cut from the outer edge into the crown and cuts are made close to a partnering limb or to a bud to reduce the risk of disease or limbs dying off. Crown reduction reduces the weight of the tree and can prevent dangerous snapping in poor and windy weather conditions. We are happy to make recommendations for the percentage of reduction required. Our priority is ensuring the health of the tree is maintained whilst achieving the best structural and aesthetic results. Hedge maintenance and trimming is generally carried out between the spring and summer months. Long standing and established Hedges require trimming to keep them dense and compact. For formal hedges we recommend more frequent trimming than informal hedges. Hedge trimming can be carried out to your exact specifications. This the removal of dead branches from a tree without which the dead wood is likely to break off or may become dangerous. Removing the dead wood reduces the weight of the tree and therefore the risk of limbs falling or breaking off in storms or strong winds. If dead wooding is not carried out then as well as the safety aspect there’s also the risk to the health of the tree. Dead wood can also attract pests and disease which could spread to the remaining healthy areas of the tree. Branches can be removed from within the crown of the tree to make it appear less dense. We can also help with tree shaping. Pollarding is a method of pruning that keeps trees and shrubs smaller than they would naturally grow. It is normally started once a tree or shrub reaches a certain height, and yearly pollarding will restrict the plant to that height. Fruit tree pruning is the cutting and removing of parts of a fruit tree. It covers a number of horticultural techniques that control growth, remove dead or diseased wood, and stimulate the formation of flowers and fruit buds. 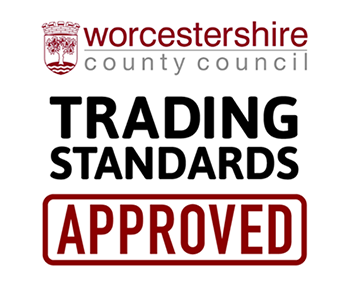 We’re based in Bromsgrove and have many customers in Edgbaston, but we also cover Bromsgrove, Droitwich, Redditch, Barnt Green, Harborne and Bearwood. 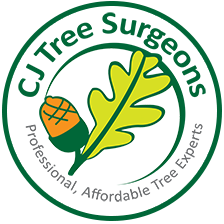 Please see further examples of CJ Tree Surgeons at work in Our Gallery.